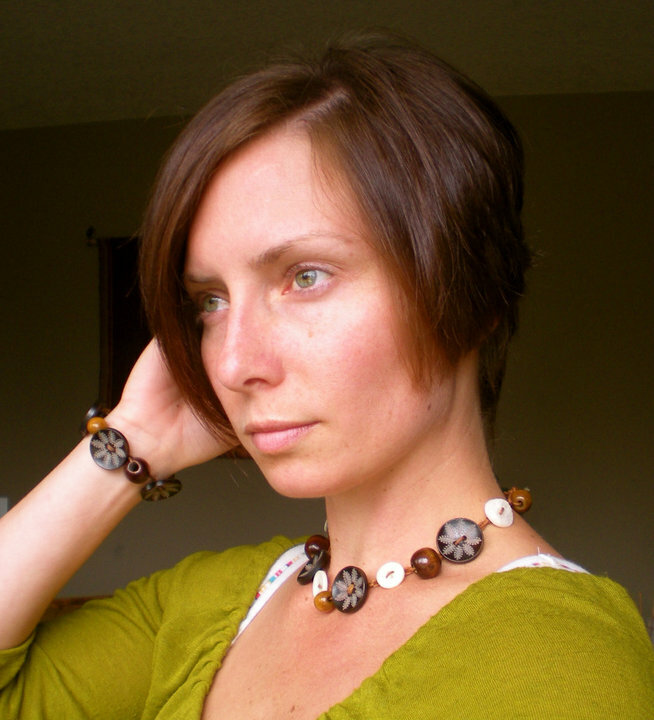 Have you ever traded something you made for something someone else made? Doesn’t it feel great? I know many people who have, and even more who’ve never considered it. In these turbulent economic times, I think trading our goods for someone else’s is a smart idea. What about if you just gave them away? That feels even better! 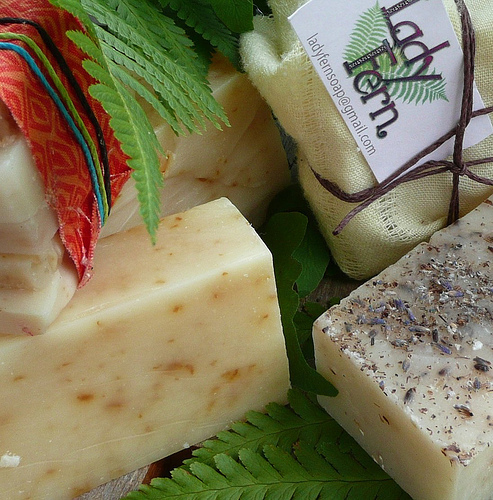 Recently I had the great pleasure of trading handmade jewellrey for homemade soap with Portland Oregon’s newest, and possibly cleanest, not-for-profit, Lady Fern. While we made a trade with our goods, normally Lady Fern gives her soaps away. Just like that. Created and run by one time colleague and forever friend, Jackie Barrett, Lady Fern has big ambitions and an even bigger heart! To give you an idea of just how big, when I asked the lady herself about her mission statement for Lady Fern, this is what she said. You simply can not argue with her passion and dedication. While Lady Fern may be starting small, I predict big things in the future. I feel like the real winner in this trade! 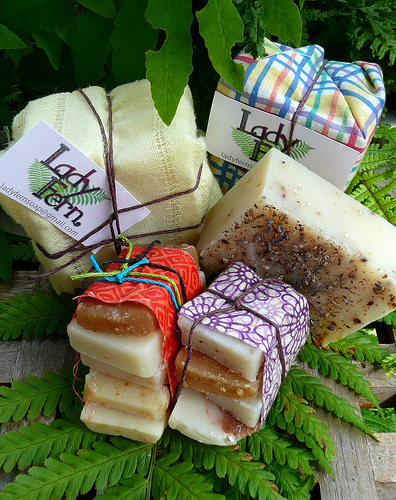 I’m in love with my new luscious soaps. They are a feast for the senses. Handmade with yummy smelling blends of lavender and sage, and oils of cedarwood, patchouli, and ylan ylang. They smell so good I decided to leave a bar in the living room, now every time I pass the bookshelf gorgeous notes of Lavender & Ylang Ylang tickle my nose. Sweet Orange & Ginger is my all time favourite. I could practically eat it up! The lather is delicate and mild, and leaves my skin feeling soft. Trust me, once you try this soap you’ll want to get your hands on more!?! Luckily these gorgeous soaps are available to everyone; cultural and socioeconomic boundaries be damned. 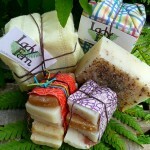 Keen to support her friends as well as her community, Jackie is interested in trading her soaps as well as donating them. “Trading is always welcome!” says Jackie on a facebook note. “I absolutely love giving it away to friends or trading with those of you who also like giving!” Her attitude towards giving inspires me to increase my own tithing to charities with future profits from UnRuley ARTicles. Jackie is doing with Lady Fern right now what many of us put off for another day. She’s giving of herself – her brilliant, lovely, compassionate self – to those in the world who have been overlooked, forgotten. Her donated products might be unconventional (which I LOVE! ), her pure act of kindness is a tribute to her vision and dedication in making a difference. I’m not sure she currently sells her soaps, I suspect doing so would be met with eager customers and help to recover costs so she can keep on giving. 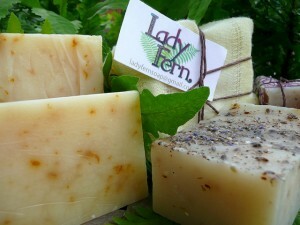 As for the future, Lady Fern hopes to connect with other like minded, crafty people who would like to join her in “spreading homemade goodness and love into the world!” Count me in! I hope I’ve inspired our readers to join her in planting their own seeds of giving. There’s so much we can do when joined together, and so much more to be done. One seed at a time. Thank you, Lady Fern, for allowing me to take a small part in your grand vision. We need to talk about how I can participate in giving back to your great community in Oregon, my one time home, and here in my new home of Britain as well; goodness knows no boarders. I have always believed in bartering when possible and sharing the end-products of time well spent in the kitchen (roasted coffee beans and jams mostly)…I’ve done so by feeding my hairdresser for the privilege of having a trendy cut and color or greeting friends with jars of something sweet!